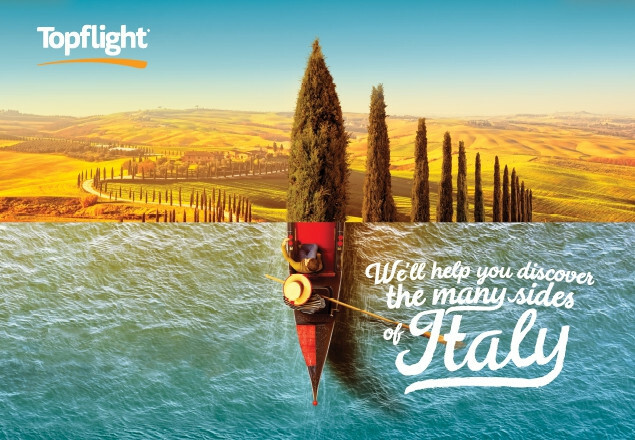 Rewarding Times have teamed up with Topflight Holidays, the Italian Specialist, so you can enjoy a 7 night stay at the Hotel Bristol, Sorrento for two people on 29th April 2018 including flights, half board accommodation and transfers. Sorrento and the Amalfi Coast has attracted visitors for centuries who flock to the region to enjoy an encounter with nature and history. Key among its unique attractions are the extraordinary classical ruins of Herculaneum and Pompeii and the mighty volcano that destroyed them 2,000 years ago, Mount Vesuvius. Sorrento is both an ideal base from which to explore the main sights of the Neapolitan region and an enchanting town in its own right. You can spend hours strolling through its narrow cobblestoned streets lined with beautiful, historic buildings that now house restaurants, ice cream parlours and shops selling everything from local handicrafts to designer clothes and the delicious limoncello liqueur for which the region is famous. Wander from the unspoilt old town to the lively, pedestrianised main street, Via de Core, and admire the clifftop setting of this elegant resort. In the evenings, life tends to centre round the main square, Piazza Tasso, where good value, high quality restaurants abound and there are lovely pavement cafes from where you can watch the town come alive. For the ultimate romantic getaway, it's hard not to fall in love with Sorrento, an idyllic town celebrated by poets, artists and musicians for centuries. You'll be struck by the beauty of its winding, cobblestoned streets giving way to elegant piazzas where pretty little pavement cafes invite you to sit awhile, sip a coffee, admire the spectacular views sweeping across the Bay of Naples, and enjoy a taste of la dolce vita, Sorrento style. Nestled into a cliffside above Marina Grande, Hotel Bristol boasts spectacular views sweeping right across the Bay of Naples to Mount Vesuvius in the distance. This, coupled with a service level that’s second to none, makes the Hotel Bristol a true favourite with Topflight clients. At the Hotel Bristol, you are guaranteed one of the best seats in town while relaxing on its magnificent rooftop sun terrace, garden and pool area. Take a dip in the pool and marvel at the majesty of Mount Vesuvius, standing proud across the bay, or enjoy a drink from the poolside bar. It is a 10-minute walk down the hill to the centre of Sorrento where you can stroll through narrow cobbled streets lined with shops, cafés and restaurants, and enjoy the heady scent of lemons in the air.